This equates to roughly 14 to 18 months of optimal battery usage, after which, things can start to change. On that note, have you been experiencing issues with your iPhone 6 battery? If so, there are many potential causes of battery problems. For starters, your iPhone battery may simply be dead. If this happens, charge the device and you’ll be on your way. Is your device underperforming? There are also remedies such as force restarting the iPhone. Force restarting your iPhone can stop all unnecessary apps and programs from running, which cause your battery to die faster than usual. If problems with your battery continue to persist, your iPhone 6 probably needs a battery replacement. In order to detect if you in fact need iPhone 6 battery replacement, we’ve curated a list of five signs to be on the lookout for. Slow or poor performance may be a telltale sign that your phone’s battery is running its final stretch of the race. 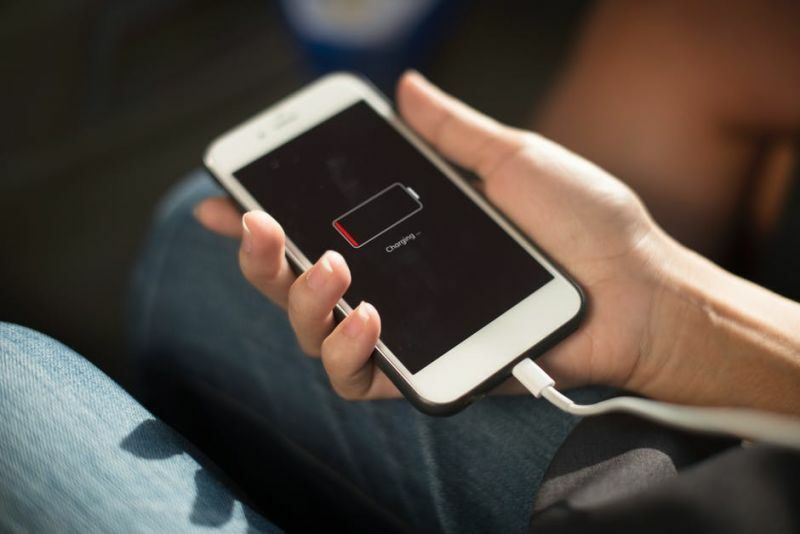 Luckily, there are some tools available on your device that help track your battery’s health, to help see if their iPhone 6 battery is being throttled. Through a recent iOS update, iPhone 6 users can now gain more insight into their iPhone battery. One of the most annoying things that can happen, occurs when your iPhone arbitrarily shuts down in the middle of what you’re doing. This non-prompted shut down can mean that your battery has irreversible damage. Once your iPhone 6 powers down, Apple activates performance throttling. This can increase your battery’s life up to several more months. ‘Your iPhone battery may need to be serviced.’ This error message indicates that you should replace your phone’s battery right away. The error message mostly appears on iPhones operating on iOS 10.2.1 through iOS 11.2.6. If you used to have more precious time with your device than you do now, you likely need a new battery. Batteries usually start to die quickly due to advanced age. Fourteen to eighteen months is the average time that you can enjoy the full benefits of your iPhone 6 battery. So if it’s been that long, you should consider an iPhone 6 battery replacement service. When your phone dies faster than usual, it does not mean that it is ruined or that you have a virus. It’s simply that over time, the battery will start to wear and tear due to age and prolonged usage. Rechargeable batteries will generate some heat, but if your iPhone 6 becomes so hot that you can’t hold it, turn it off. Excessive heat can cause major damage to an iPhone and its battery. This is another indication that your iPhone is in need of a battery replacement right away. Cooling down the device will allow you to save money on replacing the entire phone, and focus on getting a new battery for your existing iPhone. We know how important your iPhone 6 is to you - after all, it’s your connection to the digital world. Puls can replace your iPhone 6 battery in a jiffy, so you never skip a beat. Not only are our services inexpensive, we have professionally trained technicians that come to you, within up to the same day. Schedule an iPhone 6 battery replacement with Puls today for fast repair that comes to you, whenever it suits your schedule. Click here to get $10 off your first service with us.